Solowheel Xtreme monocycle. 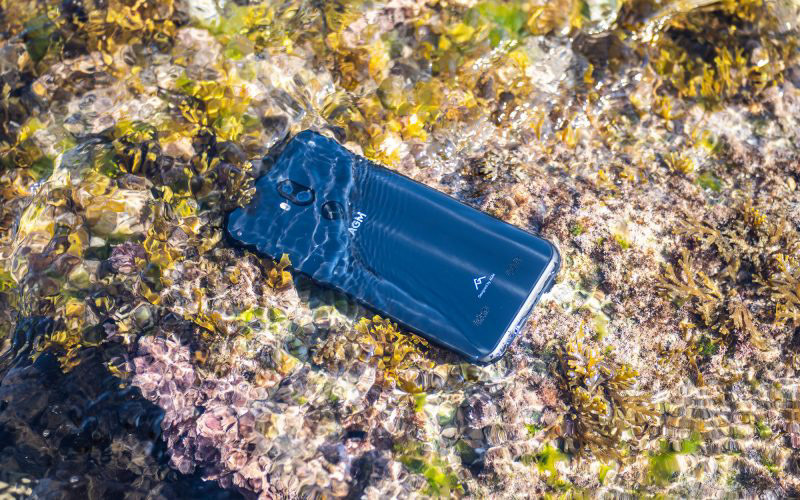 First acquaintance, rides around the city and rough country – Technomode media — Popular science magazine: reviews of gadgets, factories, exhibitions, interesting articles and much more. Published in Russian and English. The future has come, the world around us is beginning to change, new devices are released. 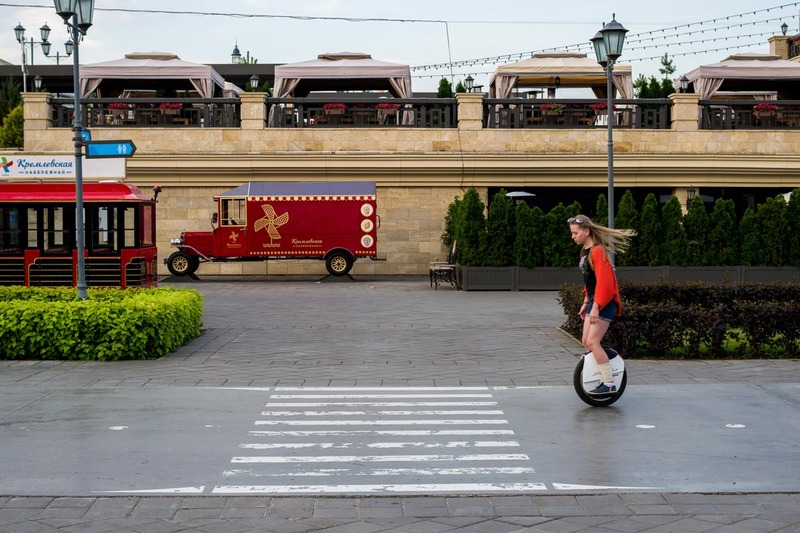 On the streets of megalopolises individual vehicles operated by electricity may be increasingly found, one of these unusual devices is a Solowheel Xtreme unicycle, which differs greatly from its competitors with power and other technical characteristics. We couldn’t stop ourselves from trying out all the stages of mastering of a new vehicle. 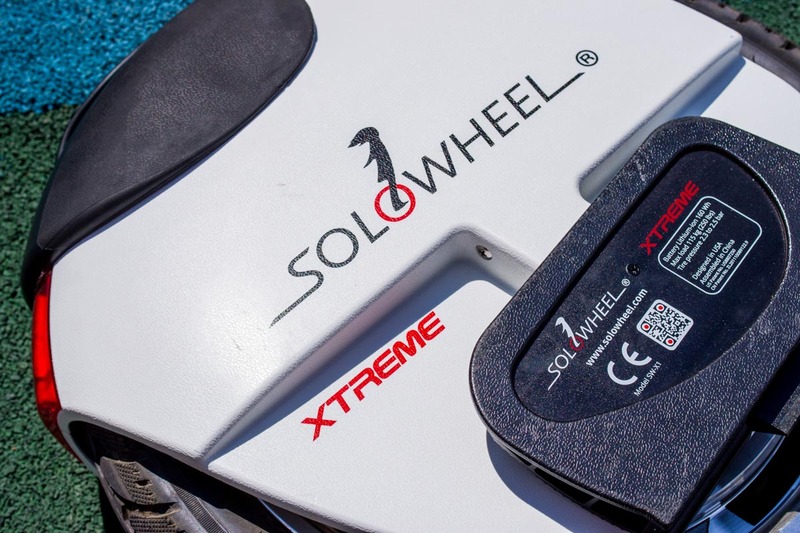 Read our detailed review about Solowheel Xtreme, how things turned out. Solowheel Xtreme monocycle came to us on a visit only for several weeks, to study its capabilities and the later narration of our impressions. 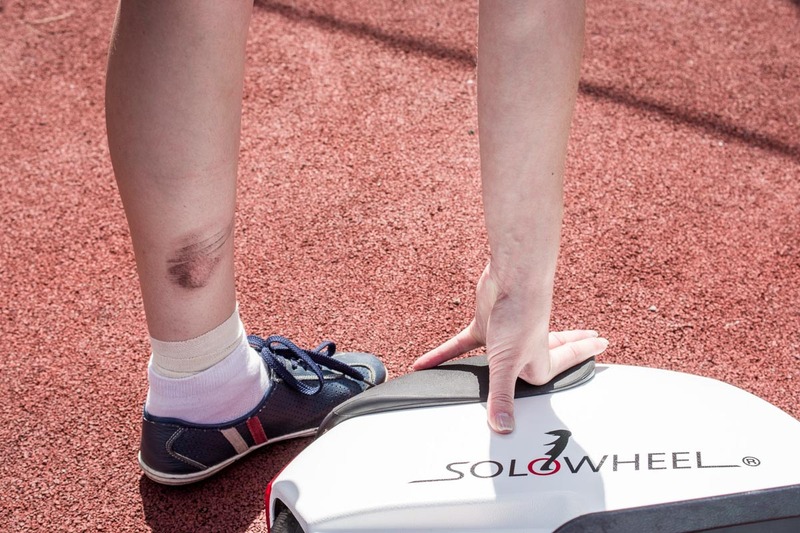 The device was packed in a large cardboard box of dark brown color, with Solowheel logos on the sides. We found all the necessary documentation, charger and holding belt inside it. The battery charger works from the standard household mains, and connects to the wheel by the magnetic anchor. 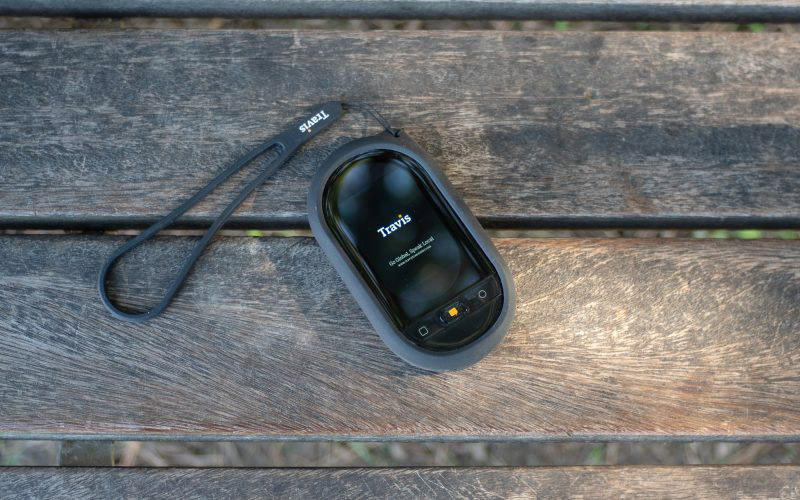 It takes about 2 hours to charge batteries fully, and a single charge is enough for a distance of about 20 km. This is very good index for engine capacity of 1800 watts. Alas, it’s impossible to walk with the Solowheel Xtreme unicycle around the city or put it in a backpack, the weight of the device is 13 kg. Meanwhile, among the competitors with the analogous diameter, our wheel has the least weight. The radius of the wheel is 18 inches, and its dimensions are 48x52x14 cm. Pullout footrest-pedals with antiskid coating are provided. There is LED indicator of blue and red colour on the body, backlights and headlights for night driving are absent. It isn’t clear, but the manufacturer didn’t provide Solowheel Xtreme with any support rest for some reason in order to park the wheel at the time of charging. It has to be put on its side, or propped up to the wall. The unicycle is switched on and off with a single button located on the body. Default modes of operation and rigidity can’t be changed, but there is some ‘extreme’ weaving that extends the existing functionality a little. 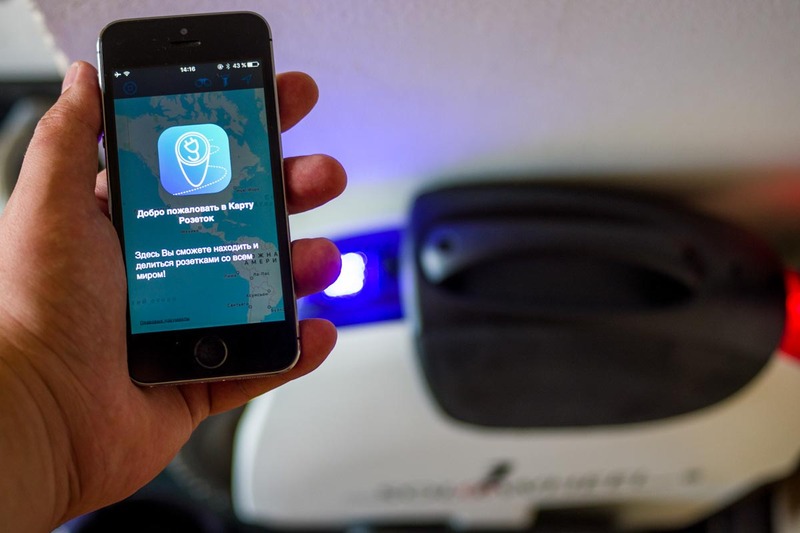 Bluetooth-interface may be used for connection to a smartphone, we’ll tell in the review of useful applications for Solowheel Xtreme’s owners what it’s needed for. Solowheel Xtreme monocycle was developed and designed in America, for the production are used facilities, located in China. The selection of components and assembly are carried out under strict control. 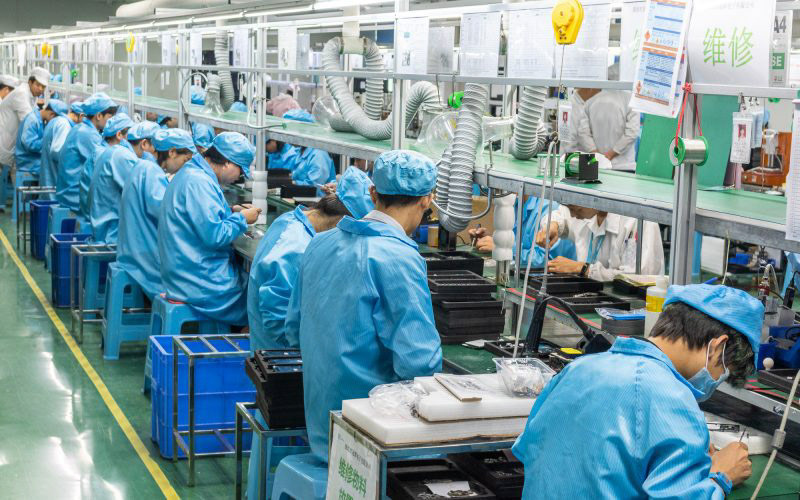 Quality of assembly and guarantee on the absence of subsequent problems connected with unforeseen breakages completely justify the high cost of the device. 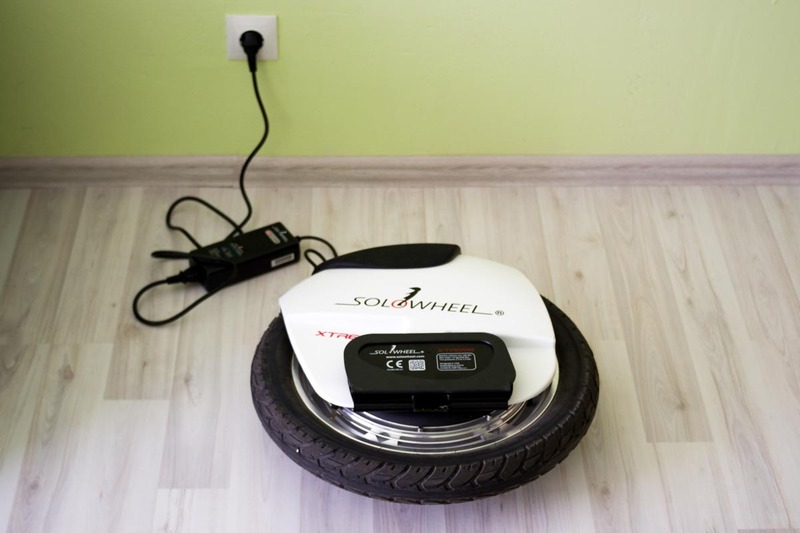 After a ,slight knowledge of Solowheel Xtreme monocycle, we offer to get to the practical learning. 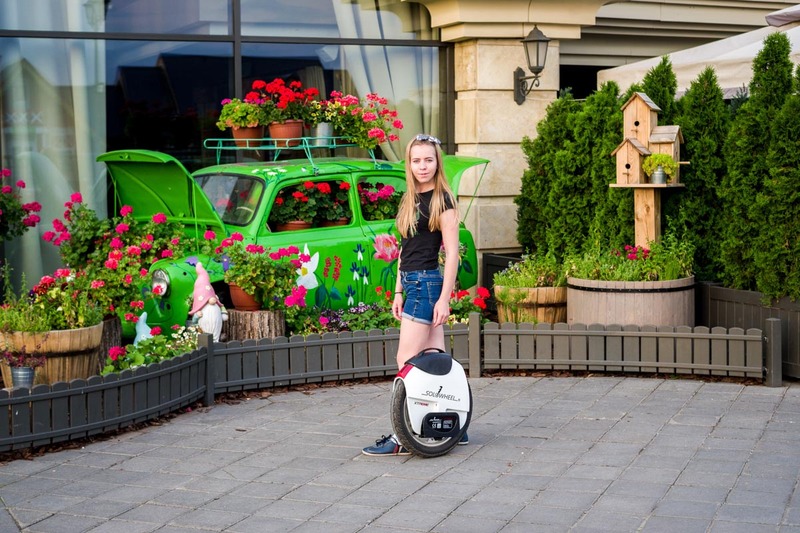 Purchase of Solowheel Xtreme monocycle is the best way to plunge into childhood once again and remember the very thrilling moment when you first tried to master the bike. Probably, just then you understood the true meaning of the expression “the living daylights” when forgot how to brake and flew into a concrete pole. No, of course, we haven’t reached such extremes, but tensions, abrasions and scratches took place. That’s why, at the very beginning of training, it’s better to use protection for knees and elbows, wear high-top sneakers and tight pants, according to the instruction. A belt can be tied to the handle of the monocycle, which will allow to ‘catch’ the device by the fall, in order not to scratch it. Firstly, you need to learn how to hold the balance on the monocycle, it’s better to do it on a safe rubber-covered playing field. Meanwhile, you’ll need some kind of support, for example sports equipment or fence. You can ask a friend or a relative to hold your hand. 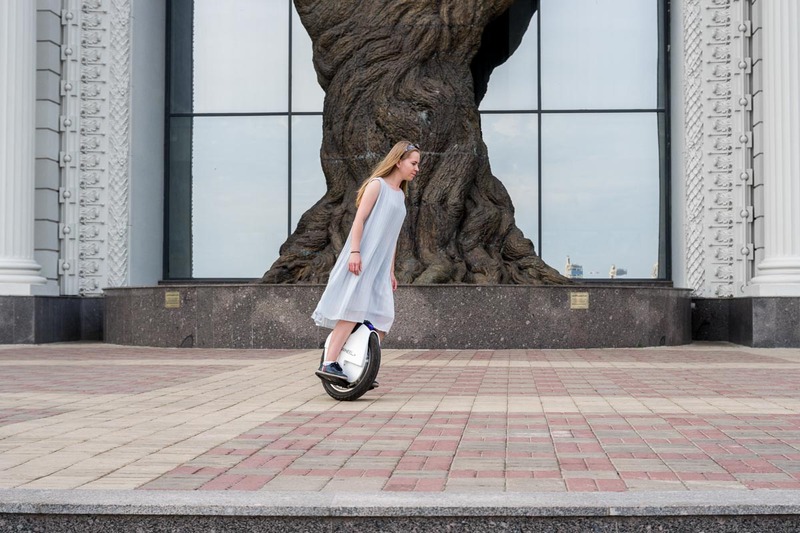 The monocycle is controlled by displacement of the center of gravity of your own body. Bend over – the wheel begins to ride, back – to stop. We also use slight side bends for turning. Every person has individual abilities. We spent more than a week for training, and someone gets up on the Solowheel Xtreme monocycle in the first half hour. Here is a short video of our first torments and slight falls. 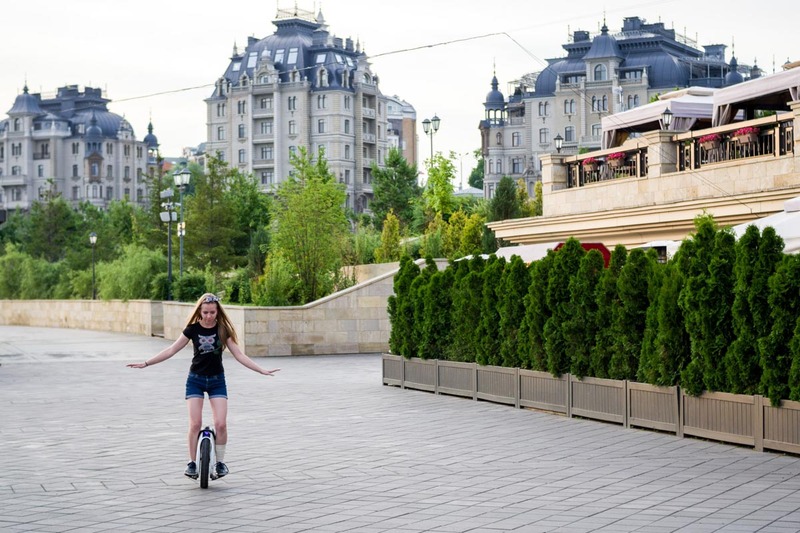 After several successful rides around the play-field we wished to get out of the comfort zone as soon as possible and take roundabout way around the city. In order to protect ourselves and other people, we made a desicion to ride in the early morning, when there is minimum number of pedestrians and cars on the streets of Kazan. 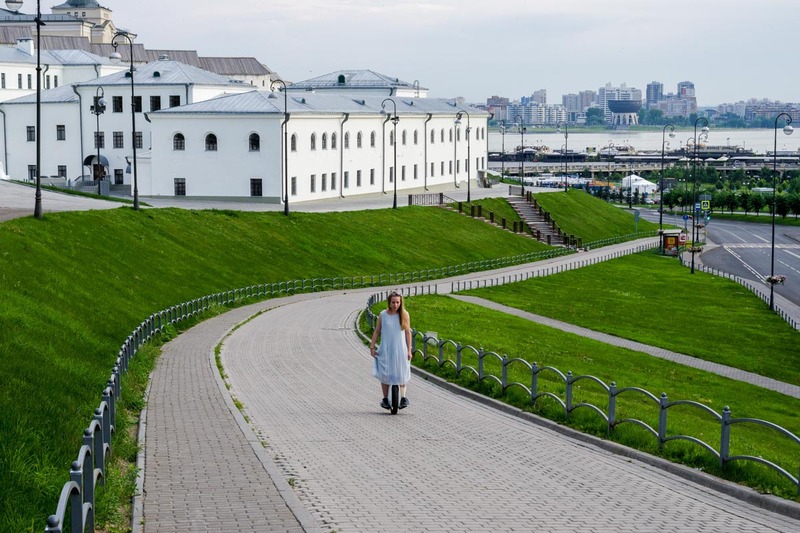 The first place we went on is the new embankment, then rode near the Palace of Agriculturists a little and went up to the Spasskaya tower of the Kazan Kremlin. You can watch a video of our trip with beautiful views of Kazan below. 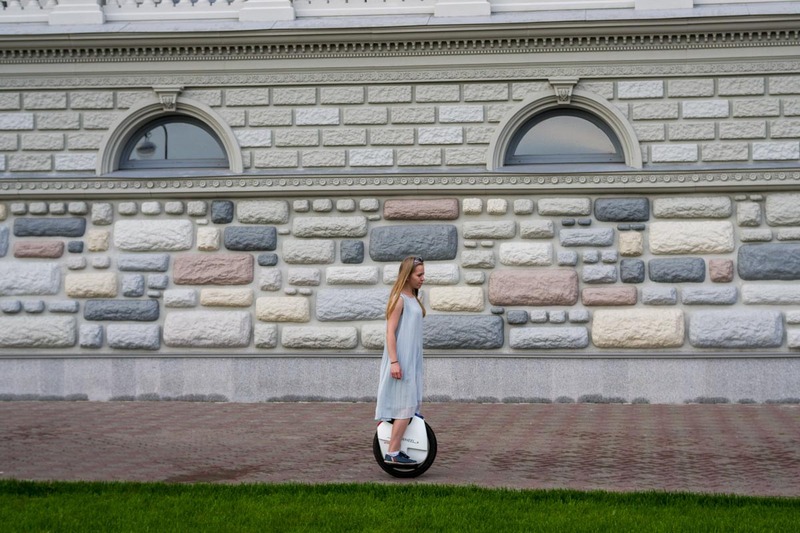 First of all, it is worth noting the freedom and easiness of movement, which gives the Solowheel Xtreme monocycle. It’s hard to believe, but a week ago we couldn’t imagine that we would be able to ‘saddle’ such transport. In fact, at the very beginning of our training, we thought, how not to fall down and break forehead. Now, on the contrary, we want to go further and higher. About higher was said for a reason, because the monocycle is so powerful that copes easily with urban climbs and descents. The only thing we haven’t learned is to cope with the curbs, but in the center of Kazan there is a well-developed program of accessible environment, soft lays and rampants are almost everywhere. 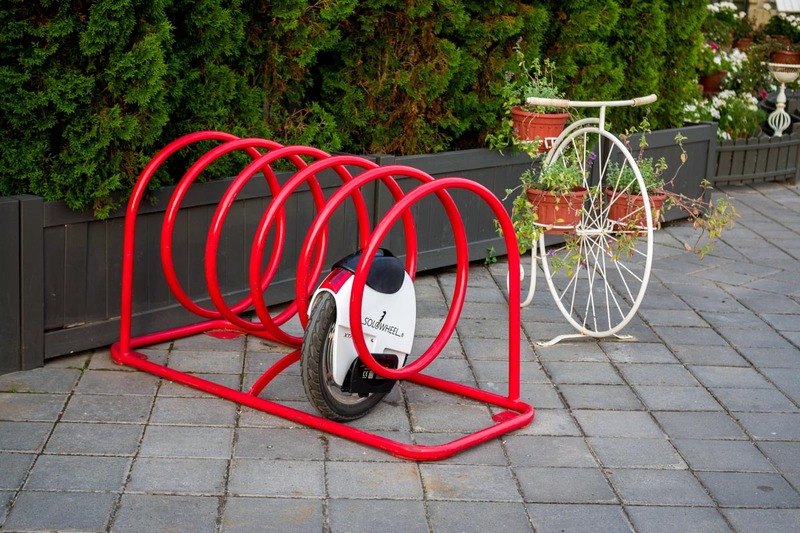 Among other things, the width of the Solowheel Xtreme is suitable for placing the gadget in bicycle parking constructions, which makes the monocycle an ideal urban transport. 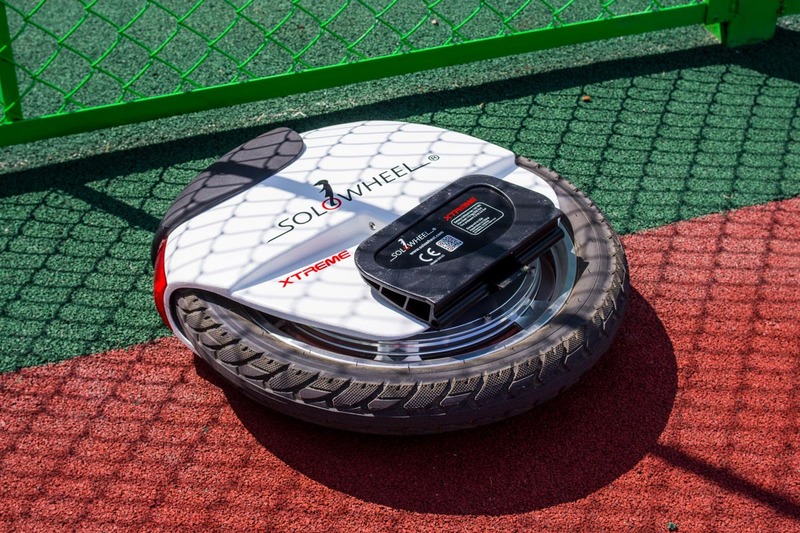 It’s good to roll out on the perfect asphalt of the metropolis or fresh block pavement of the new embankment, but how will Solowheel Xtreme behave itself on rough terrain? May be the owner of the monocycle will suddenly want to seclude with nature and go through the field and meadows straight into the forest. So we decided to test the behavior of our unusual vehicle on different surfaces. Watch a short video at first. Riding on forest roads and paths is radically different from city rides and asks for a maximum attention. You’ll need to accelerate in advance for passing of small hills and other roughnesses, and learn to slow down and hold balance at one time at descent from them. 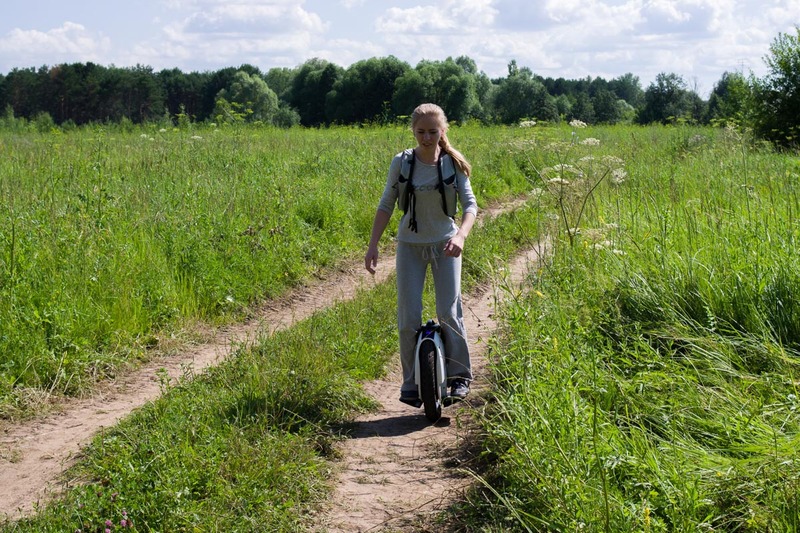 Solowheel Xtreme monocycle has a protection class IP56, which means that you can ride not only on a dry surface. Of course, it’s not worth bathing the wheel in the river, but you’re able to ride on a small puddle or in the rain. A small trailer wing is provided to reduce water splashes and dirt, which we installed before our trip. 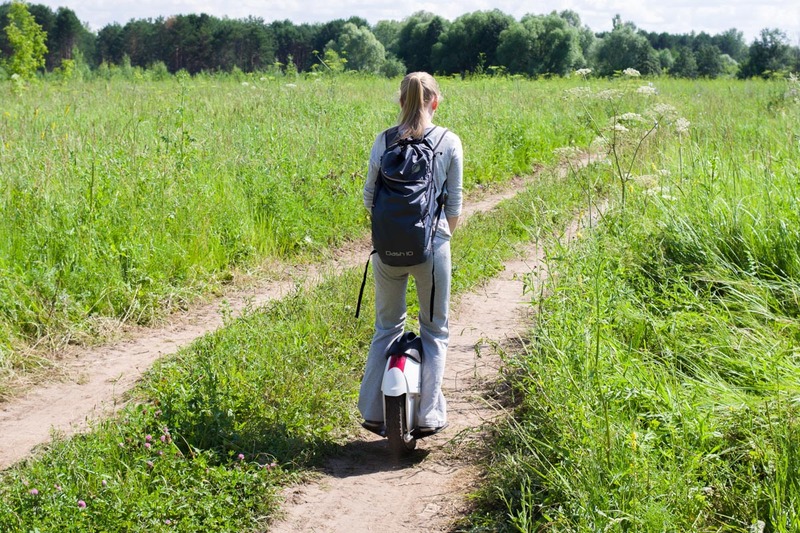 As you can see, you can ride Solowheel Xtreme not only on perfect roads, but also move on rough terrain. The most important thing is not to overdo, during the riding on uneven landscape power consumption is increased, you are unlikely to find a socket in the forest, so then have to drag 13 kg on his hump. The rigidity of the wheel is perfect, you won’t shake and lose balance with the change of the road surface. If several years ago, a person quickly moving on a monocycle around the city, would have bewildered people, now we felt only enthusiastic views of adults and a little childish jealousy riding on Solowheel Xtreme The time when such transport’ll be able to ‘saddle’ every interested person isn’t far off and a riding on an electric wheel to a shop or an recreation park will become the same ordinary event as a walking. Like it or not, the future has come and new technologies inexorably enter our live. Definitely, the popularization of such ecological transport deserves a special attention. In the same Tatarstan there are plenty of tourist sites that are pedestrian, but at the same time have a large area. Organization of the monowheels’ rental and preparation of special tourist routes for people, who use these gadgets would be an ideal solution. Will you agree, that you can’t drive by car everywhere, or you won’t have enough energy to get around on foot? It isn’t necessary to use the Solowheel Xtreme unicycle only for entertaining or recreational purposes. First of all, it’s a good sports equipment that trains coordination and exercises a certain group of muscles. This type of transport is worthy of being noted by various services. For example, in the same pedestrian zones, which is the Kazan embankment, such gadgets could be used by employees who ensure security. AGM X3 protected flagman review: IP68 standard, Snapdragon 845 processor, JBL sound and etc.